This weekend, Hollywood is coming to Manhattan Beach. 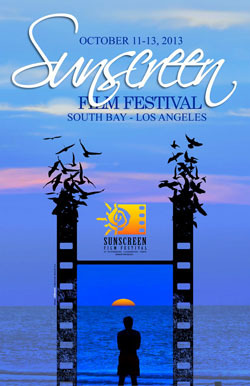 Manhattan Beach businesses and studios will host parties and screenings for the Sunscreen Film Festival, a recognized annual event in the world of independent film. Sunscreen is an acclaimed national event attended by over 11,000 people each year. In past years, its guest list has included such A-listers as John Travolta and Kelly Preston. For eight years the St. Petersburg-Clearwater Film Society has put on the festival, which is sponsored by the Academy of Motion Picture Arts and Sciences. A few years ago, MovieMaker Magazine voted it one of the “25 Coolest Film Fests” in the nation. What’s different about Sunscreen is that its organizers put emphasis on participation. Anyone who attends will have the opportunity to attend workshops put on by established screenwriters and production managers about writing and making films. More than 20 independent films will be screened this weekend, most of them at Arclight in El Segundo. Manhattan Beach Studios, a production studio on Rosecrans, will host the opening party on Friday night, October 11th. The Belamar Hotel will host the Awards Ceremony and party on Saturday night beginning at 9:15 p.m. The full list of events and tickets are available on their Sunscreen Film Festival website. We’re excited to show filmmakers and film enthusiasts from all over the country how beautiful Manhattan Beach really is. Do you think Manhattan Beach is the right location for the festival? Can’t wait to go this weekend! I’ll definitely be bugging all of my friends to go with me. I'll be at two of the writing workshops over the weekend. So glad it's local so I won't have to worry about a long drive.